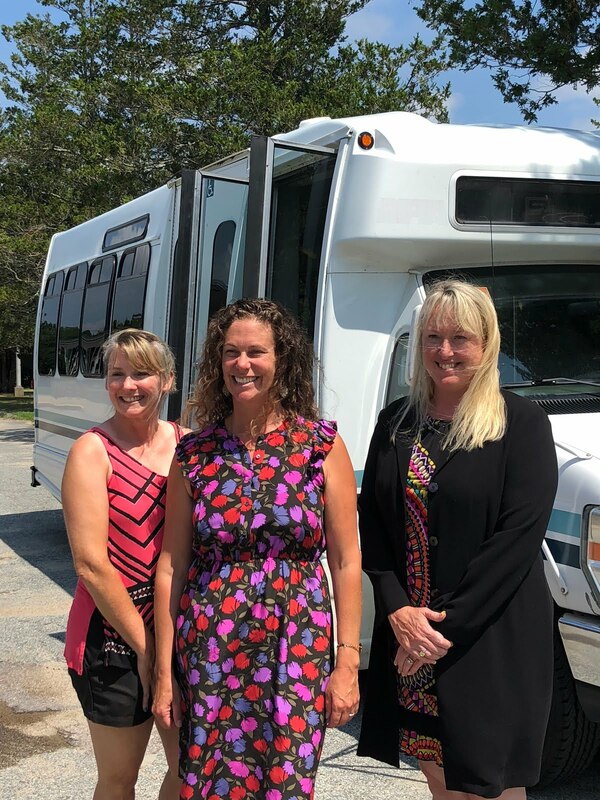 SOUTH KINGSTOWN — After working for many months to acquire a vehicle to transport families in need to and from meetings and events, the South Kingstown School District earlier this week finally received its van. The 18-passenger van was donated to the district by the Rhode Island Public Transit Authority (RIPTA). After Superintendent Kristen Stringfellow early this year realized the need for a van to transport families in need to various meetings—including IEP (Individualized Education Plan) and 504 meetings—the district worked with Tanzi to apply to receive a van which had been retired from RIPTA’s fleet. RIPTA has stringent requirements regarding upkeep and mileage on its fleets, Tanzi explained. Once a vehicle—like the donated van—has reached the maximum mileage it’s allowed per RIPTA requirements, it’s made available for donation to municipalities. But the process for acquiring a vehicle is competitive, Tanzi said. In fact, the school district was approved several months ago to receive a van, but the van it chose had a blown engine. “None of us were willing to give up,” Tanzi said. She added she was “so pleased” when the van finally arrived Wednesday. Due largely to a lack of public transportation in the area, Tanzi said children and their parents often miss out on participating in programs offered at the schools. 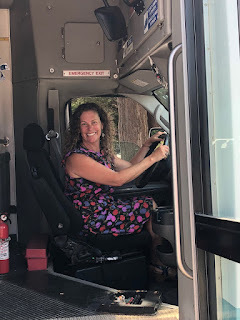 “Transportation has long been a barrier to fully participating in a whole manner of things—whether it’s being able to access health care, or in this case participate fully in the school environment,” said Tanzi, who also serves on the steering committee for South County Healthy Bodies, Healthy Minds (HBHM). Funded primarily by the Rhode Island Department of Health and the Centers for Disease Control and Prevention as one of 10 Health Equity Zones in the state, HBHM strives to ensure “equal access to healthy living resources and lifestyles,” according to its website. In addition to that physical component, HBHM also strives to address mental health issues. And this van, Tanzi said, will make it easier for HBHM to meet its wellness goals. The school committee last spring designated funding in its budget for a teacher assistant who will drive the van. Transportation services will begin at the start of the upcoming school year. Families in need of transportation should contact their child’s principal for information and support.